How well are you weathering the storms in your life? When trouble hits and you feel under attack from the world, are you filled with peace and strength? Do you wish you could be? What if you could face your greatest trials filled with peace and a confident heart? What difference would that make in your life? Interested in a better way to face the hard times in this life? Ready to stop worrying and instead have peace about the future? When you learn to trust God and allow him to lead your life, you will find God’s peace and strength through any storm. I’ve been in the storm. In fact, too many storms. I’ve nearly been pulled under by some of them, wondering if I’d ever make it out. As I’ve battled (and worried and fought and grieved), I’ve discovered better ways to face these trials in my life. I’ve been able to replace worry with God’s peace which passes understanding, scrambling for solutions with trust in God’s answers, fear with confidence in God’s strength. Sounds too good to be true? Or, would you also like to discover how to face the trials in your life with peace, trust, and confidence, instead of fear, worry, and frantic scrambling? 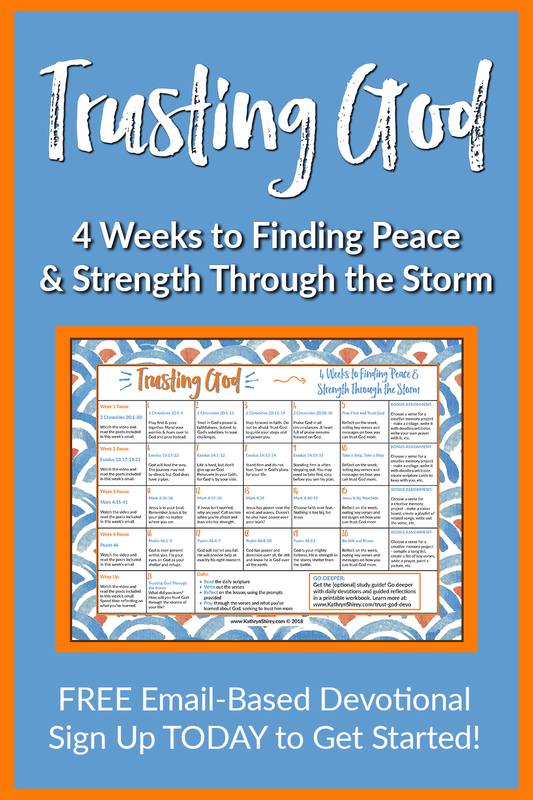 It’s possible – so, let’s start today looking at the four key steps I took (and you can, too) to learn to trust God and find his peace and strength in the storms of life. Where do you turn first when troubles come into your life? How do you react to the trials in your life? To be honest, I often turn to worry first, then to Google or Facebook, which usually only add to the worry. I try to find solutions and next steps, but mostly fret and complain about what I’m facing. If I turn to prayer first, though, I can skip all that worry. God reminds me that he’s in charge and he has it covered. I can share the troubles with God and find peace through him. I’ve learned I can lean on God for support through the hard times and trust him to show me the right next steps. Pray instead of worry. Trust God for the solutions. Click here to learn to pray the TRUST prayer and hand your worries over to God. What is your response to crisis? Do you go into fight or flight mode? Some of us naturally go into fight mode, taking any step or action we can find, often without much thought into the consequences of that step. Others of us go into flight mode, retreating from the conflict, not taking any action because we’re too afraid to take a step, fearing it might be the wrong one. What if instead, we listened closely for God’s next steps and stepped out in faith? When I’m in prayer and listening to God, I know he’ll lead me to the right next steps. I don’t have to rush out and create my own solutions. I don’t have to retreat and hide either. I know I can step forward in confidence that God will guide my steps. Listen in prayer and trust God to show you the next steps. Then, step forward in faith. Click here to learn 5 ways to know if God is speaking to you. Do you feel alone in your fight? Does it seem that the world is against you and you have nowhere to turn? Remember you always have Jesus in your corner. He is there by your side if you’ll only invite him in. He’ll provide support, guidance, and peace in your troubles. How do you keep him close, though? Pray and invite him into your life and into your situation. Open your Bible and get to know him. Ground yourself in prayer and Scripture every day, keeping your eyes and heart fixed on him. Invite Jesus into your life. Ground yourself in Scripture. Keep Jesus close and he’ll deliver you from the trials. Click here to learn how to get closer to Jesus. Do you think God has the power to help in your situation? Do you think he will actually intervene in your life? Take a look at scripture and remind yourself of God’s power and faithfulness. There’s no problem he can’t solve, no trouble that’s too big. He has power and dominion over all the earth and can work in ways you can’t even imagine. Remind yourself of all the times he’s intervened in similar situations throughout scripture and recall what he’s done in your life. Write out a list of Scriptures to remind you of God’s power, make note of all he’s done in your life and in the lives of others you know. Keep these reminders close, imprinting God’s promises deeply in your heart. God does still get involved in our lives and has complete power over this world. Trust in him and believe in his power. You CAN have peace and strength through any storm life brings your way – if you’ll learn to trust God. We’ll dive deep into the Scriptures that have been most influential in my own life, learning to turn to God first and trust him with my life. Each week, we’ll focus one of these four keys to trusting God, exploring examples in Scripture and discussing practical ways to use that key in your life. Joining the study is completely FREE. You’ll receive daily emails to guide your study and prayers, plus weekly video lessons to introduce each passage we’ll study. To take the study deeper and get the most out of these 4 weeks, you can purchase the Trusting God study guide. 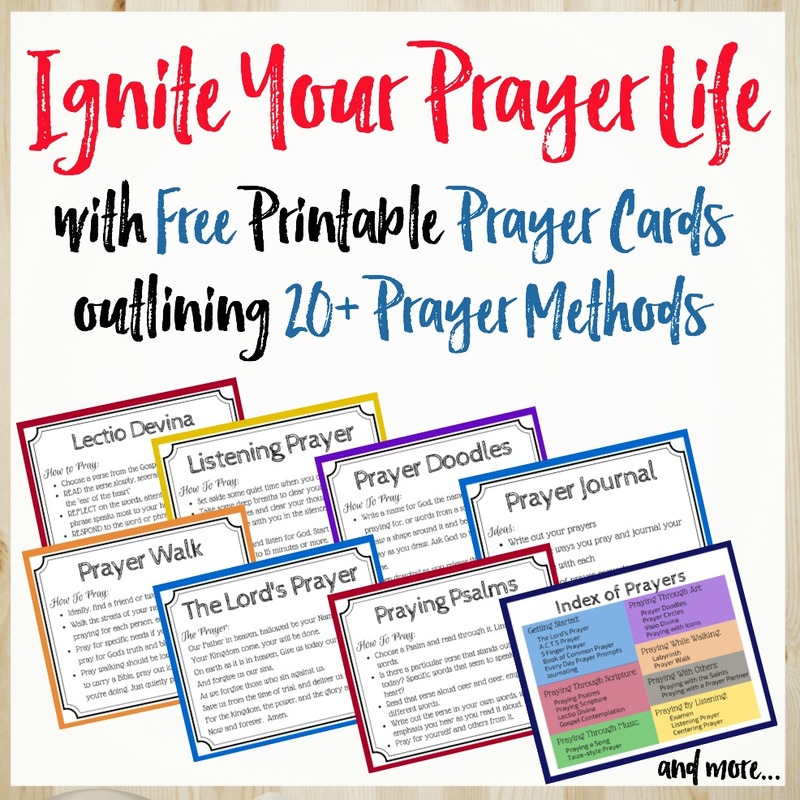 This includes deeper daily devotionals and reflections to help you better understand each Scripture and take to heart how you can trust God in your own life. These more in-depth studies will help you maximize your time in these verses. Ready to find more peace and strength in the hard times of your life? Want a better way to face your trials? Trusting God is the answer and this study will take you through practical steps and guided prayers to learn how to trust God with the storms in your life. This Trusting God devotional is completely FREE to join! All you need an email address and an open heart. Learn how to turn to God when life gets hard. ​Explore God's faithfulness and power over this world. Begin to trust God in your own life and find his peace.